What is a policy entrepreneur? 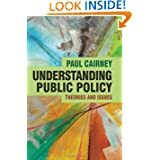 @CairneyPaul have you written about problems with the ‘policy entrepreneur’ concept somewhere? Am always intrigued by implications of that. 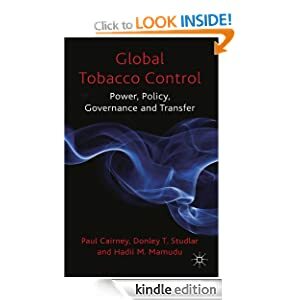 For example, ‘policy entrepreneur’ is used by Kingdon (1984: 21; 104) to describe actors who use their knowledge of the process to further their own policy ends. 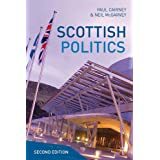 They ‘lie in wait in and around government with their solutions at hand, waiting for problems to float by to which they can attach their solutions, waiting for a development in the political stream they can use to their advantage’ (Kingdon, 1984: 165–6). Entrepreneurs may be elected politicians, leaders of interest groups or merely unofficial spokespeople for particular causes. They are people with the knowledge, power, tenacity and luck to be able to exploit windows of opportunity and heightened levels of attention to policy problems to promote their ‘pet solutions’ to policymakers (see also Jones, 1994: 196 on their ability to reframe issues). John’s (1999) treatment of entrepreneurs is similar, but he perhaps replaces the image of a surefooted calculating individual with someone that follows a trial and error strategy; entrepreneurs try out combinations of ideas, ‘to find the one that replicates’ (1999: 45). In policy transfer, entrepreneurs can be consultants, NGOs or think tanks which promote best practice internationally. International entrepreneurs often have added credentials, either from the exporting country or from a supranational institution such as the World Bank that ties its cooperation to the use of a particular expert (Dolowitz and Marsh, 2000: 10). The classic case is the Harvard professor who travelled the world selling new public management, backed notionally by the US government (Common, 1998: 441). In this case the entrepreneur is perhaps guaranteed some level of success and is always on the road and looking for business rather than waiting for the right opportunity to act. ‘Entrepreneur’ is used in rational choice to explain why some individuals seek to provide public services or form political parties or interest groups when we assume that most free ride (McLean, 1987: 29). In business, entrepreneurs are innovative actors who provide a good or service that otherwise may not be provided; in return for their services they take a profit. The amount of profit depends partly on the level of competition by different entrepreneurs (1987: 28). In politics, it may be more difficult to sell goods, particularly when they are non-excludable (Chapter 7). Political entrepreneurs may profit through other means: when people make voluntary donations; when organizations pay politicians to try to secure contracts or other favours; and, through taxation. Again, the amount of profit depends in part on the level of competition: a high taxing, corrupt politician might be replaced by a cleaner and cheaper opponent (1987: 29). In other cases, politicians pursue measures simply because they believe that there will be an electoral payoff (Mclean, 2002: 541). In the case of organizations, there are people who value a good or service so much that they pay for it regardless of the ability of others to free ride. Or, there are entrepreneurs, driven partly by ideology, who provide a cheap solution to a problem shared by many in exchange for a donation to pursue further initiatives (McLean, 1987: 32). Mintrom and Vergari (1996: 431; see also Mintrom and Norman, 2009) use ‘entrepreneur’ in a similar way to Kingdon (someone selling ideas) and to rational choice (someone solving a collective action problem) to explain change within the ACF. For example, coalitions are born when entrepreneurs frame issues to encourage members with common beliefs to coalesce around an issue. Overall, while ‘entrepreneur’ may be a key concept used to explain the timing and degree of policy innovations, we need to be clear about how we use the term. Who are the entrepreneurs? What is their role? What skills do they posses? Do entrepreneurs sell ideas or services? Do they benefit from policy outcomes that favour their beliefs, or material outcomes? Is an entrepreneur a domestic actor joining streams from within, or an external actor applying pressure (or both)? Some of these theories about entrepreneurs are discussed in the 1000 Words and 500 Words series on policy theories. Good point. Maybe independentism requires also ‘policy entrepreneurs’ elsewhere? Thanks for this. I’m intrigued by the ‘policy entrepreneur’ concept partly because of the potential parallels with the concept of ‘innovating entrepreneur’ from the economics of innovation. In a sense policy processes are a kind of innovation process with similar dynamics – fundamental uncertainties, quasi-irreversibilities and path dependencies. I’ve argued this in the course of trying to convince innovation people that they need to take public policy dynamics seriously (see e.g. https://www.escholar.manchester.ac.uk/uk-ac-man-scw:119191 ) but am still developing my thinking. The only truly common link in the PE literature is the reference to exceptional individuals. The metaphor of someone investing capital to get a return by selling something to other people is not always thought through. Yes, it’s fair to say that there is no consistency (as far as I can see) in how ‘entrepreneurs’ are defined, or what their attributes are, in the business literature either (though the ‘innovating entrepreneur’ idea coming out of neo-Schumpeterian innovation studies is perhaps a bit more specific). Quite insightful. That suggest there is a policy enterprise since there are policy entrepreneurs. Thanks for this post. very helpful. I’m reblogging for my own record.